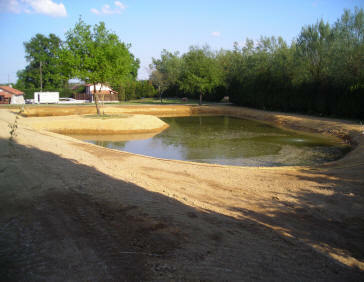 Click here to take a tour of the family Lodge. 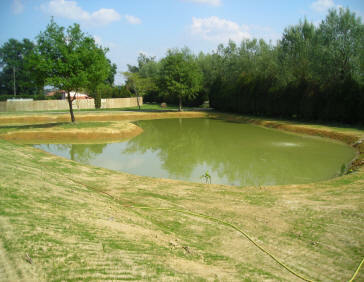 surrounded by woodland and green fields with abundant wildlife in the area. 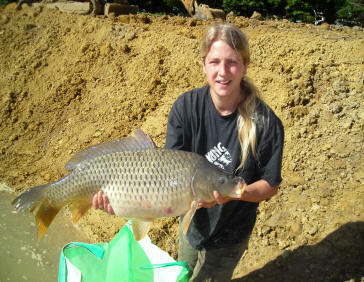 making it an ideal fishing lake for all anglers including beginners and children. 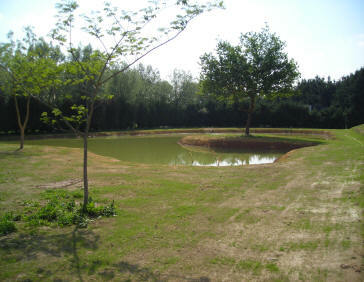 The lake is surrounded by trees and hedges with picnic areas. 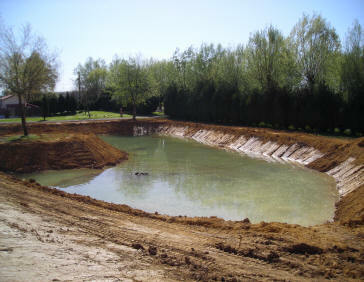 which can be a relief from the heat of the sun at the height of the season in France. 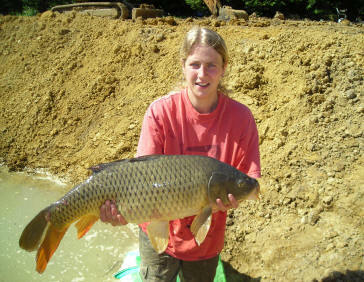 We have a selection of bait for sale and rods/reels etc. 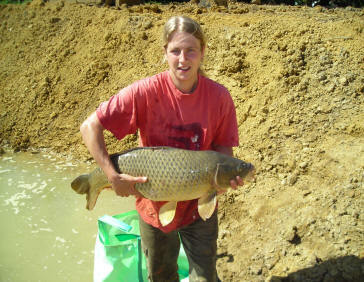 can be hired for the day. 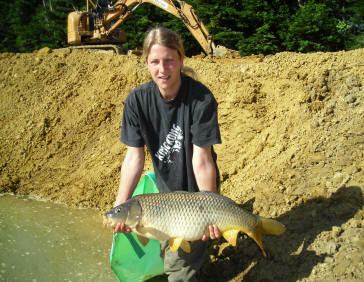 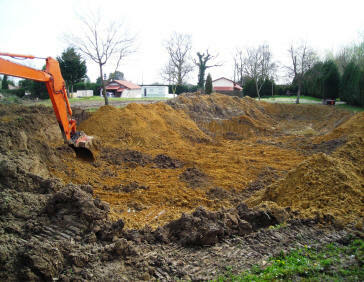 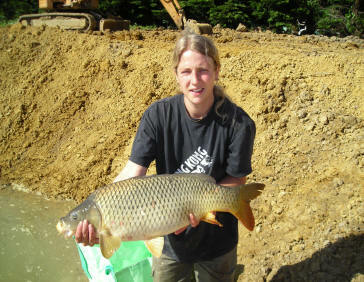 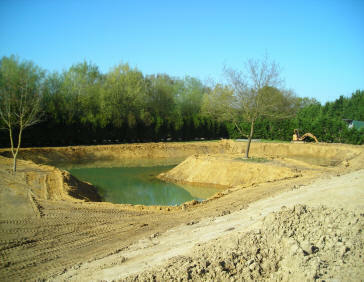 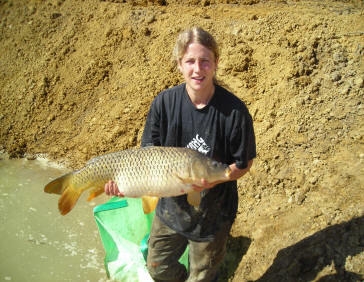 Below you can see pictures of the lake being excavated plus a few carp that have already been stocked. 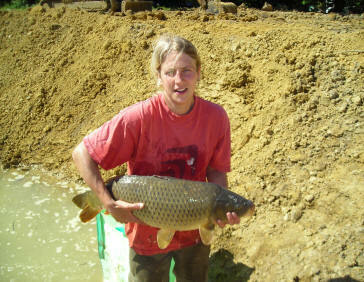 by going under the bridge, and they do ! 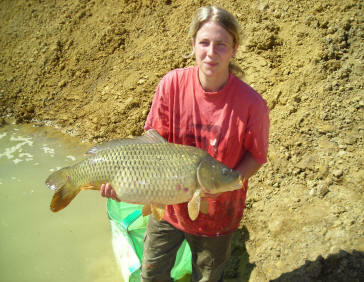 No lure fishing for predators or other fish. 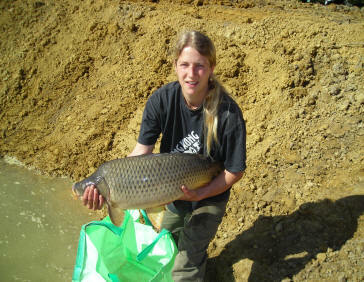 You must have a suitable landing net & unhooking mat at all times when fishing. 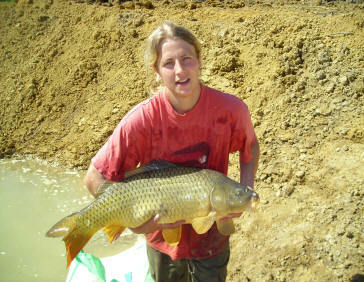 Do not leave rods unattended when your line is in the water. 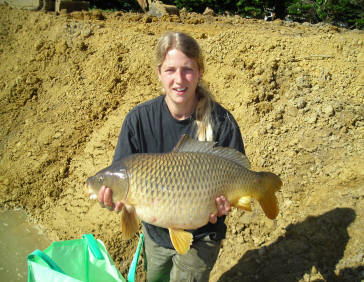 Please carefully dispose of all litter in bins provided. 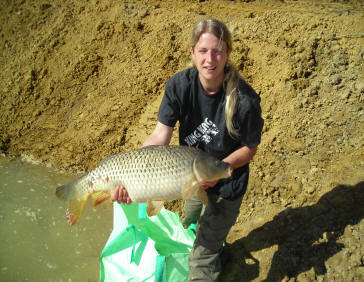 No lead core and barbless hooks only. 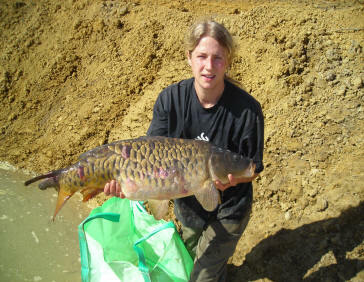 Maximum of four rods per fisherman allowed. 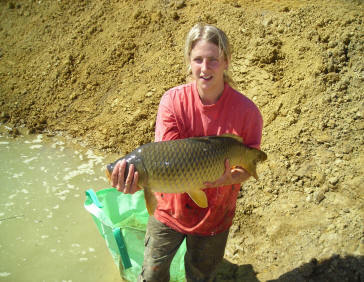 quality fishing and an enjoyable stay for all our holiday guests. 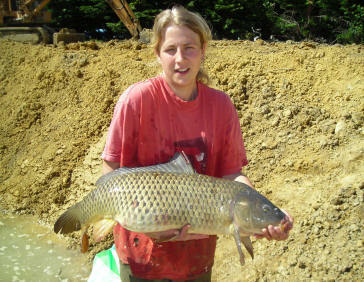 If you neglect to abide by the rules above, we reserve the right to ask you to leave the fishery. 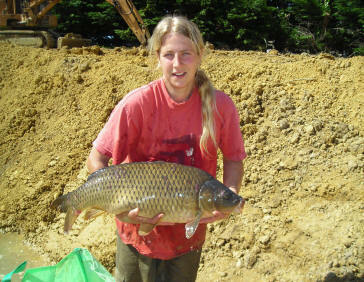 Thank you for your consideration, we look forward to meeting you. 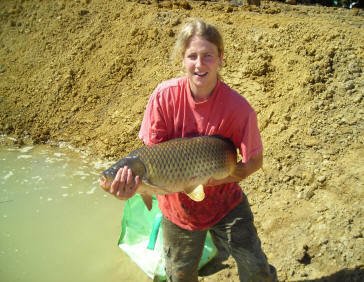 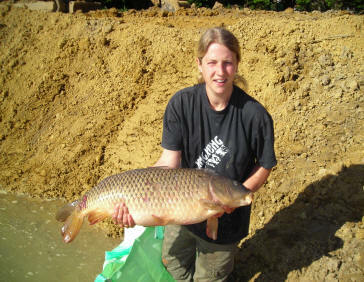 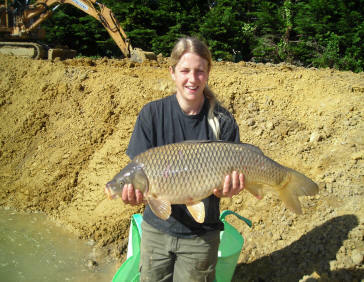 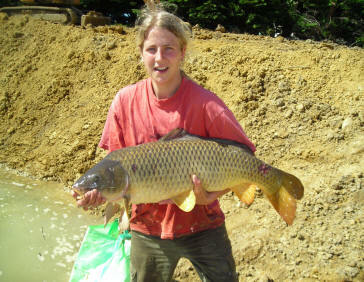 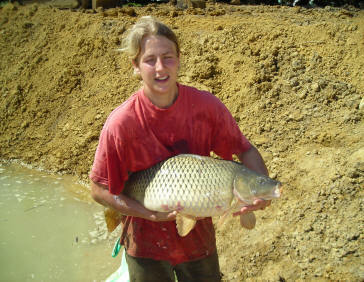 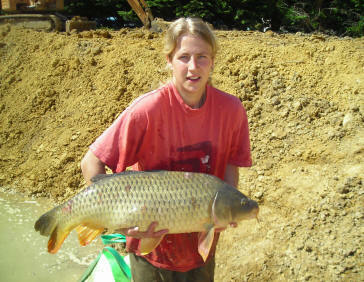 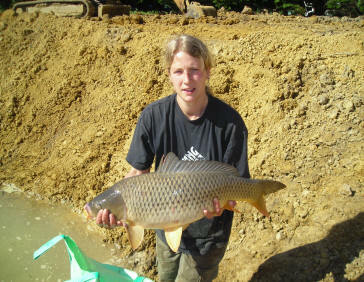 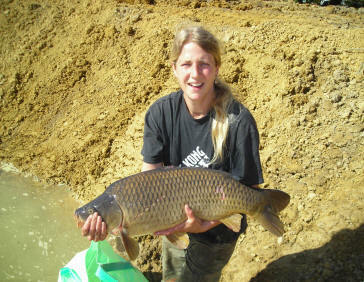 Here are a few pictures of Lodge lake being excavated and some of the carp that have been stocked into the lake.